This is my first time participating in a blog hop. I sure do hope I get this right. I believe you arrived via Stephanie Kolker’s fabulous blog. 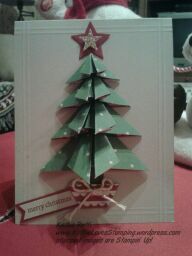 Here is my take on the Origami Tree card. It is a fun and EASY card to make. Really … it is! Amazingly, it folds quite flat … maybe I can get by with just regular postage!! I thought about the Sahara Sand card base for a bit. It needed something, but nothing too busy. I used my Simply Scored to add some lines at 1/4″ and 3/8″ as a border. I decided that I wanted each tier of the tree to have the same pattern. I’ve seen these trees done in multi-patterned papers, but I really like the Garden Green paper with the tiny stars from the Trim the Tree DSP Pack. The tree stand is from the same paper pack (on the reverse side of the paper I used for the tree). I used the Hexagon punch for the tree stand … just slide the paper into the punch halfway and PUNCH. As easy as that. The white scallops in that paper were a bit too bright for this card, so I toned it down by going over the white scallops with my Sahara Sand Stampin’ Write Marker. There is a 1/2″ wide strip of Early Espresso trunk tucked into the tree. I topped the tree with the smallest star from the Stars framelit in Cherry Cobbler topped with a champagne glimmer star punched with the Itty Bitty Accents Punch Pack star. I stamped “Merry Christmas” from Holiday Home onto a banner of Sahara Sand CS in Cherry Cobbler ink and layered another banner of Cherry Cobbler beneath. I only used a couple of Dimensionals … one under the tree stand and a partial one under the champagne star. A quick little bow of gold baker’s twine was added to the stand with a glue dot. The inside sentiment and star is from Christmas Bliss, a monthly offered photopolymer set. I used four squares of DSP for the tree. 3″, 2.5″, 2″ and 1.5″. To make each section of the tree: 1. 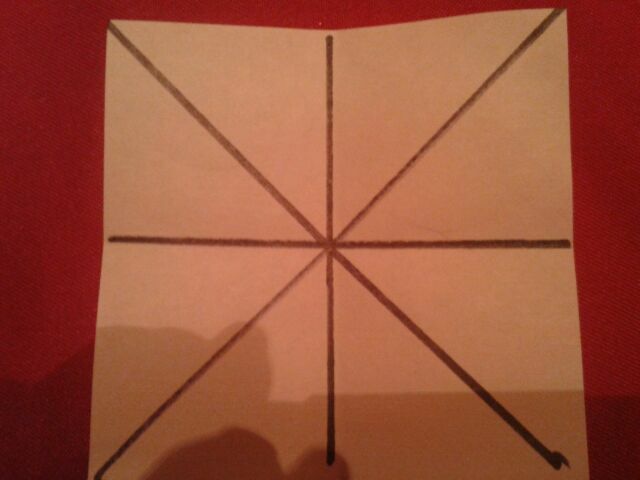 Score each square in half in both directions, then from corner to corner, diagonally, in each direction. 2. Fold and burnish. 3. open square. 4. Tuck sides in, making a triangle. 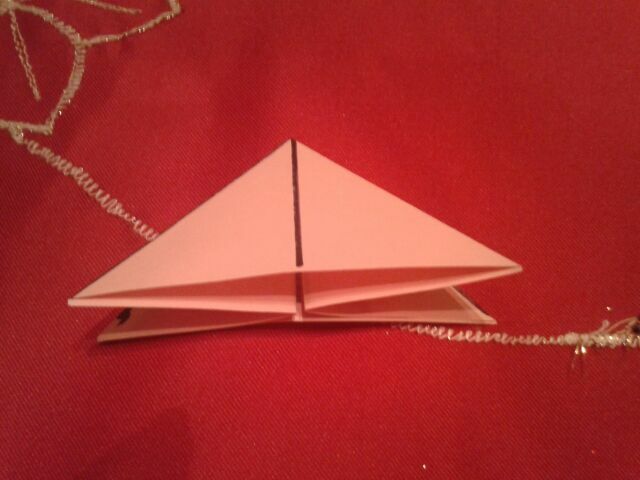 5. you will have a double triangle (one on top of the other). 6. 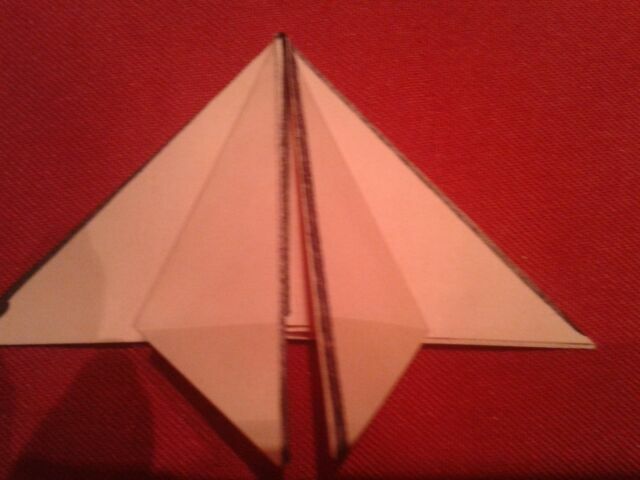 Fold the sides of the top triangle to meet in the middle. Burnish. 7. Repeat for all 4 squares. 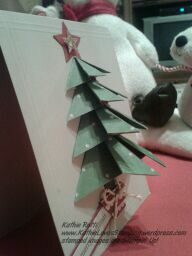 Assemble the tree by gluing each tier onto your card base. If you have questions, feel free to ask! Thanks for visiting. Enjoy the rest of the Stamp It Group Holiday Blog Hop. It’s time to visit Liz Miller … I can’t wait to see what she has for us! < Previous It’s been a busy week … but aren’t they all? Next > ‘Tis the Season for Gift Cards! I love this card! I’m so happy I come to your class, so that I could make it! I love your step-by-step instructions! Kathie, this is a great card! I love to do tea-bag folding and this card reminded me of that! TFS–and congrats on the new blog! Love the folded tree! Well done! No matter how long I know you ….you always can come up with something fantastic. Great job Kathie. Can’t wait to start stamping with you and the group. Beautiful Card and Thank you for the instructions! Will need to try this technique! Wow! This is so cool! I have never attempted anything like this … now I can thanks to your step by step instructions – with photos for the “visual learner” 🙂 TFS! TFS this great technique. I’ve never done this, but have been inspired to incorporate it into my classes this week! Love it!